Cisco is releasing two auto-zoning 48 and 96-port Fibre Channel switches to speed up networking in data centres with all-flash arrays. The switches are accompanied by updated diagnostics and SAN management software. As all-flash arrays are increasingly used in data centres, their IO demands crank up the storage networking burden, hence the need for faster switches. Broadcom-owned Brocade and Cisco dominate the Fibre Channel director and switch, and Brocade has the larger slice. Cisco has lagged in its support for faster Fibre Channel speeds but, with this announcement, appears to be catching up. Adarsh Viswanathan, Cisco's senior manager for DC Switching, said: "Historically we have been 1 to 1.5 years behind and let our competitor get ahead. Now we are just one quarter behind." Brocade announced a G630 128-port switch and FC32-64 64-port X6 Director blade, both 32Gbit/s products, earlier this month. It introduced its 32Gbit/s 384-port X6 Director in July 2016. Cisco added 32Gbit/s Fibre Channel speed to its MDS Director in April 2017. A 32Gbit/s 32-port 9132T switch was announced in November 2017. The 9132T, 9148T – both FC-NVMe qualified – and 9396T use an ASIC with analytics and telemetry capabilities built in. The auto-zoning feature simplifies network administration by automatically zoning devices when they log into the fabric. A zone is a collection of initiator and target ports that can communicate in a SAN, and zones need manual definition and activation. Cisco says auto-zoning provides nearly complete elimination of manual zone configuration. The MDS Diagnostics suite enables port link strength to be diagnosed in production operation instead of offline, and Cisco has worked with both host bus adapter vendors – Broadcom's Emulex and Cavium's QLogic – to enable their kit to respond to read diagnostic port requests. 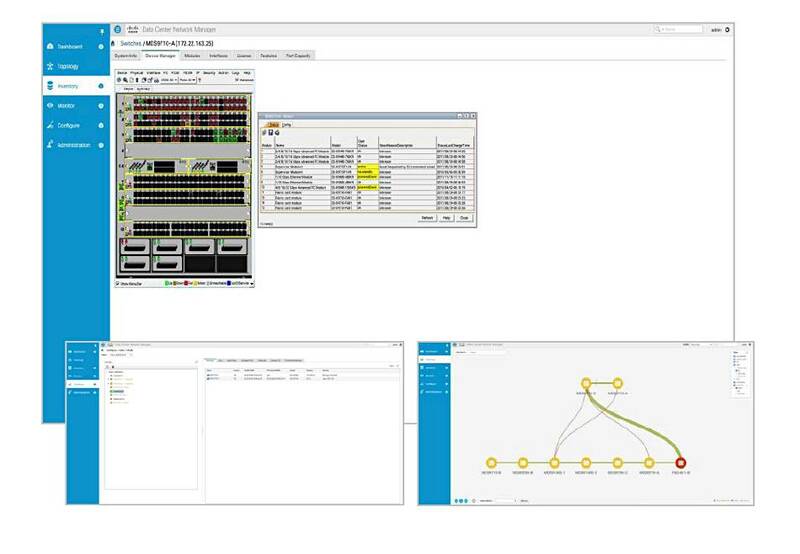 DCNM (Data Centre Network Manager) v11.0 can provision switch licenses directly, automate SAM management tasks, has redesigned VSAN and port channel management, and automated Slow Drain Analysis to deal with SAN congestion, where devices receive data at less than line rate.